Illegally obtained evidence in whaling research? Apparently some biology journals refuse to publish research on whales if data for that research come from commercial whaling, as this paper in the ICES journal describes. Frankly the authors (all from a Norwegian research institute) are not happy with that. I am no legal expert so I don’t know whether such research is a case of illegally or improperly obtained evidence. I understand why such evidence is not accepted in court: you don’t want to encourage police officers breaking the law themselves to catch a criminal. By the same token, you don’t want to encourage researchers breaking international treaties for their research. Yes, I tried whale meat. It’s not exactly a delicacy. I also asked what species it was and they told me it was minke whale. If you check minke whale in the IUCN Red List you will find the species is not threatened in any way. But what about the species next to the whale meat? There are many different eel species, but the eel you buy in most shops is European Eel – critically endangered, according to the IUCN Red List. 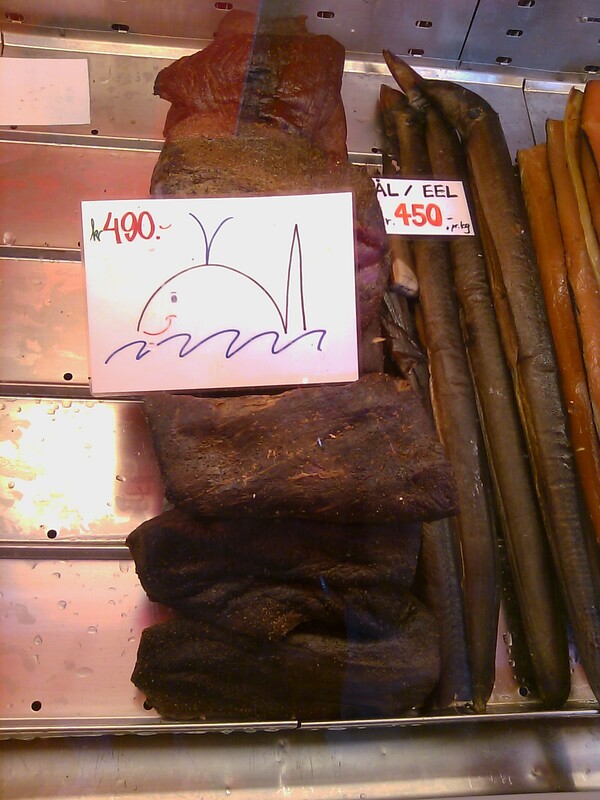 Why do we eat eel, which is on the brink of extinction, while we get so upset about minke whale, which is so abundant? I admit: smoked eel tastes much better than whale meat. ← Why economists argue with ecologists (2): what is economics?